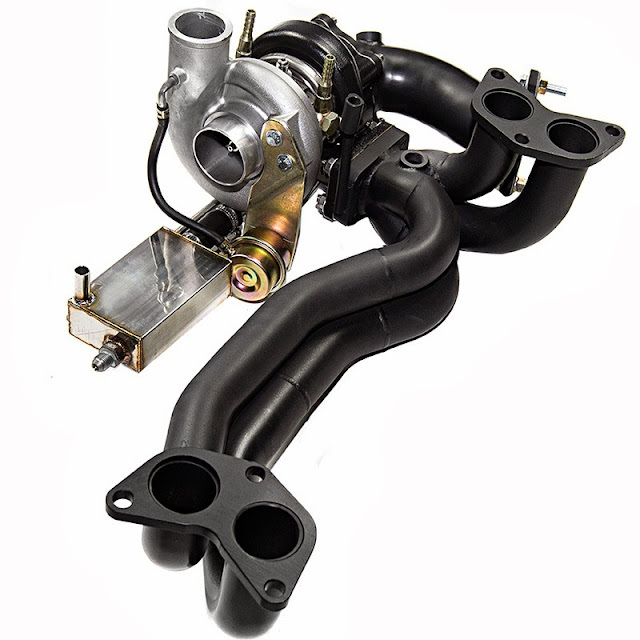 Circuit Motorsports: Flat-Out: AVO Stage 1 Turbocharger Kit for the 2013 Subaru BRZ and Scion FR-S Now Available! AVO Stage 1 Turbocharger Kit for the 2013 Subaru BRZ and Scion FR-S Now Available! 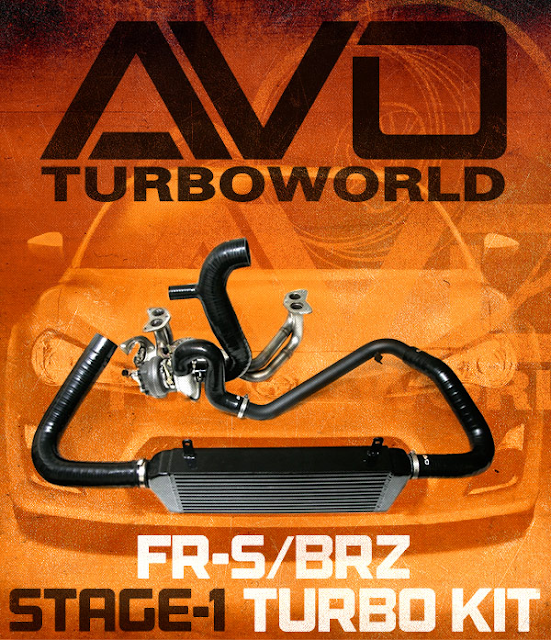 AVO's front-mounted Stage 1 turbocharger kit for the Subaru BRZ and Scion FR-S is in stock and ready to ship! The kit is designed to work with both RHD and LHD models in all countries, with extensive testing done on both the Japanese Subaru BRZ and the US Market Scion FR-S. The AVO turbocharger kit is designed from top to bottom specifically to the FR-S and BRZ and consists of all the parts necessary to bolt the kit up to the car. The kit utilizes an AVO 18/49 turbocharger that mounts up under the front of the engine via an AVO stainless steel unequal exhaust manifold, and then it bolts up to the stock exhaust with the AVO polished stainless steel turbo outlet (also referred to as a downpipe). Cooling the pressurized air is an AVO aluminum bar and plate front mount intercooler which uses black piping throughout, mechanical oil scavenging pump, oil reservoir tank, and all necessary water and oil hoses and fittings. Tuning is Ecutek tuning tools. The turbo kit was designed to bolt up to the stock air intake box and stock exhaust system. AVO spent a lot of time ensuring it will work with the standard fueling system for a complete bolt on and go setup. The beauty of the system is that it looks very stock from above! The FMIC has been specifically designed to fit with the standard bumper without trimming as well, and on FR-S models would be be difficult to see unless you are looking for it. From AVO's testing, the kit can be expected to produce anywhere from 220 to 250 whp on pump gas, dependent entirely upon the quality of the pump gas. This is due entirely to the fact that the stock motor is 12.5:1 compression, incredibly high for a n/a motor. This makes gas quality even more important than ever! Turbo Specifications: The AVO 18/49 Turbocharger comes with a 5-7 psi actuator for precise boost control at lower psi levels, ensuring engine longevity. 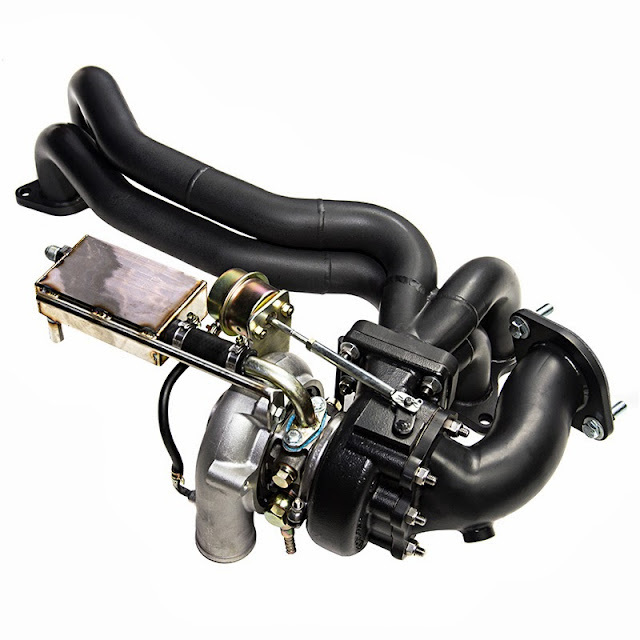 The turbocharger is rated for 380 hp of flow, so there is certainly headroom available with it from the base stage 1 kit. Mechanical Oil Pump Specifications: The AVO kit is unique because it utilizes a mechanical oil pump that located at the back of the engine and runs off the back of the RH camshaft. There is also a oil reservoir tank right off the turbocharger itself. This is the most reliable way to pull oil through the turbo to the engine, as it keeps the flow rate tied to the rpm speed of the motor, ensuring that it's properly scavenged at low RPM's and idling, and has enough at high RPM's. Front Mount Intercooler Specifications: AVO Bar & Plate Aluminum Intercooler with cast endtanks. Length = 19" Height = 8" Width = 3", The intercooler kit utilizes black wire- reinforced silicone piping and two black powdercoated steel piping. 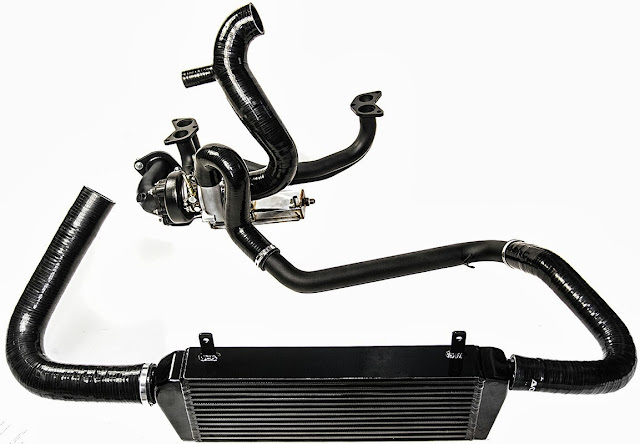 The intake piping has ports to mount up a variety of blow-off valves, even OEM ones for a full stealth look. MSRP: $4400.00 for the ceramic coated (which is the only option we are currently offering). NOTE: The kit does NOT include the EcuTek license which must be purchased separately. If you or the end user already has an EcuTek you can get the tune done by Circuit Motorsports professional tuner. If you need a Cable kit and Ecutek software/license we can also provide that for you as well. We have both E-tuning and Dyno tuning available, so we can customize the tune needed for your vehicle setup and needs! As the first and most thoroughly designed and engineered bolt on turbocharger solution for the BRZ/FR-S this kit is a great option for those of you who want to go Forced Induction!